The Harris-Stowe State University Alumni Association offers graduates an ongoing opportunity to share memories, enjoy camaraderie and continue their life experiences together. As a community-serving institution, Harris-Stowe is fortunate that many of its graduates remain in the St. Louis area. This enables our alumni to maintain long-term connections. Also, go to the "Benefits" page for a complete listing. The Harris-Stowe State University Alumni Association would like to welcome the 2018 graduates to the alumni family! As a welcome gift, the association is granting all 2018 graduates a free one-year membership, a $25 value. Your membership brings great perks, such as free admission to HSSU athletic events, 10 percent of the University Bookstore, 5-10 percent off Enterprise locations, exciting alumni social events, leadership opportunities and much more. To receive your free HSSU Alumni Association membership card, just visit HGA Room 110 or email Alumni@hssu.edu. Welcome to the HSSU Alumni Association! A nominal membership fee of $25 is collected to offset the costs of printing, postage and other operational costs. Fees paid to the Alumni Association, a registered nonprofit entity, are 100 percent tax deductible. 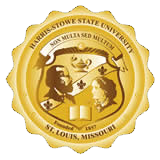 Everyone, whether you graduated from Harris-Stowe or attended the university at some point, can join the Harris-Stowe State University Alumni Association. Join now and your membership will be valid through May 31, 2017! Or you can now PAY ONLINE! Simply click here and enter the amount of $25 for a one-year HSSU Alumni Association Membership in the "Alumni Association Membership" field (seventh field from the bottom). Then enter your credit card information in the fields at the bottom of the screen. It's that easy! When paying online, please email Alumni@hssu.edu to ensure your current information is on file. Give the Gift of a Harris-Stowe Alumni Association Membership! If you have a friend who is not yet an HSSU Alumni Association member, then surprise him or her with a membership! Simply purchase the membership online by putting your information in the "payer" fields and your friend's information in the "student" fields, or mail in a check and application with your friend's information. Then your friend will also be able to enjoy the many great benefits of being a Harris-Stowe Alumni Association member!